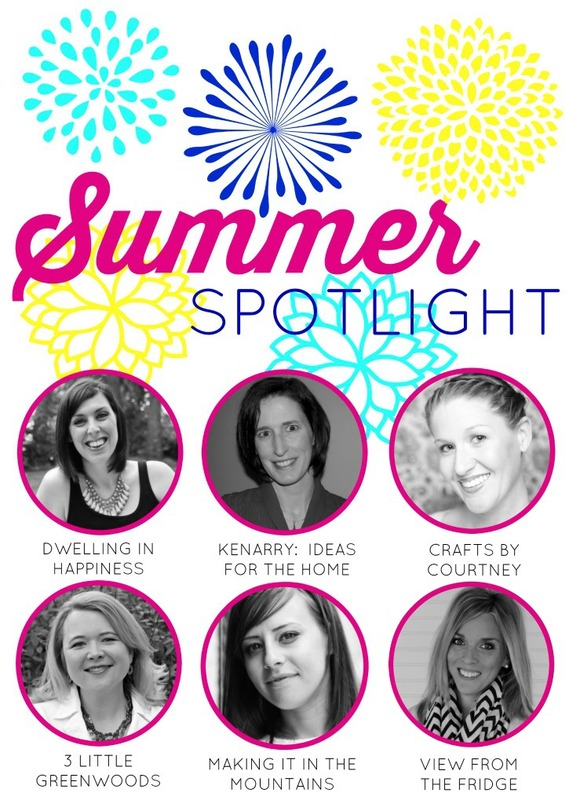 Welcome to the sixth week of our Summer Spotlight Series! 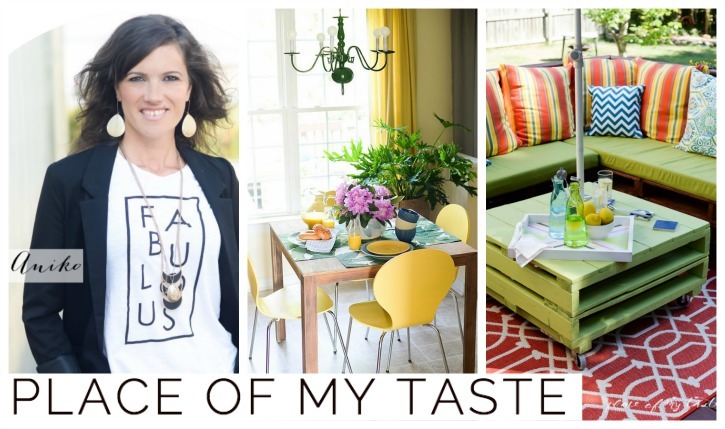 When I think of this week’s fabulous blogger two words come to mind: Colorful and Chic. Keep reading to learn more about Aniko from Place of my Taste! Hello, friends! 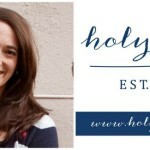 I’m Amanda from Dwelling in Happiness, and today I’m shedding some light on a fabulous blogger you need to follow. Trust me! Her name is Aniko, and her lovely blog is called Place of my Taste. 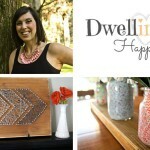 Not only does she share some amazing DIY projects, she is also quite the talented artist! 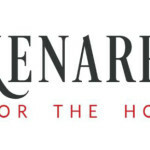 I found Aniko’s blog shortly after starting my own just about a year ago. I was enthralled with the beautiful things she made and her delicious recipes. I totally fell in love with her style! 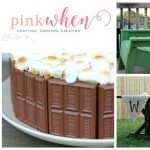 Aniko is a wife, mother to two adorable boys, business owner (you can check out her Etsy shop here! ), photographer, and a DIYer/blogger. She’s a crazy talented (and busy!) woman! I’m totally in awe of how she does it all. 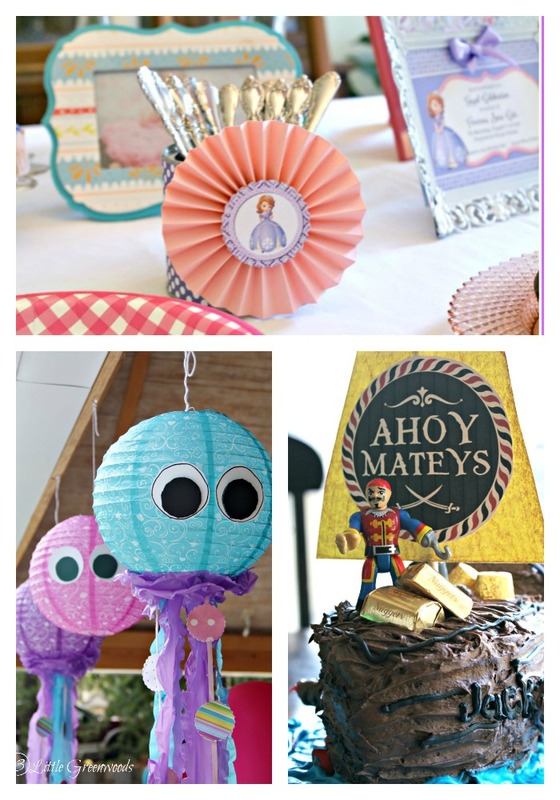 On her blog, you’ll find lots of pretty things like fun crafts, gorgeous home decor and DIY ideas, yummy recipes, and cute free printables. 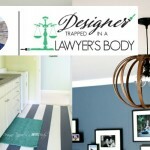 Just recently, Aniko was featured Better Homes and Garden. What an accomplishment!! She’s also had some of her projects featured on sites like Country Living, Good Housekeeping, and House Beautiful, to name a few. Basically, she’s amazing! It was almost impossible to choose a few of my favorite posts from Aniko to share with you today, as they all are incredibly creative and stunning! While I know you’ll love all of her ideas, please click through and pin directly from Place of my Taste. Let’s get on with the spotlight! Here are some of my favorites from Place of my Taste. 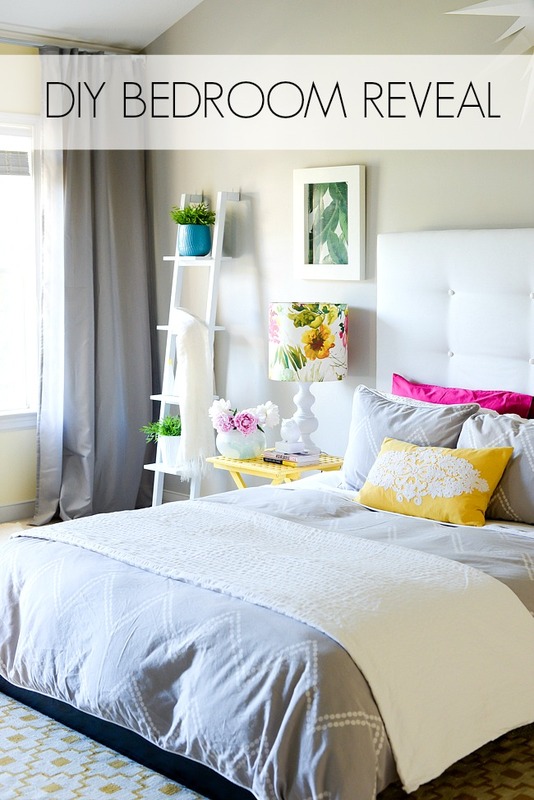 First up is this gorgeous master bedroom reveal. Aniko did a fabulous job brightening it up from the previous orange and brown they had throughout the room. The pops of yellow, pretty lampshade, nightstand, and super neat mid-century dresser that she redid are the perfect touches to their new and improved room! Most of the decor are DIY’s, too! Her photography skills totally shine through in every picture Aniko takes; especially this amazing master bedroom! 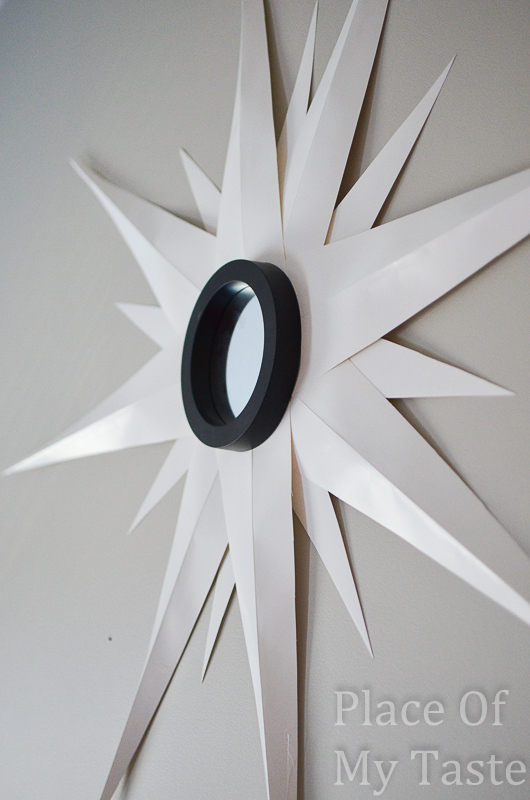 How COOL is this DIY sunburst mirror?! You’d never ever guess that this was made out of paper, and only took 15 minutes. I love how Aniko folded the paper to make the “sunbursts,” which gave it more depth. It looks amazing on her bedroom wall above the bed! That’s my kind of quick and creative craft. 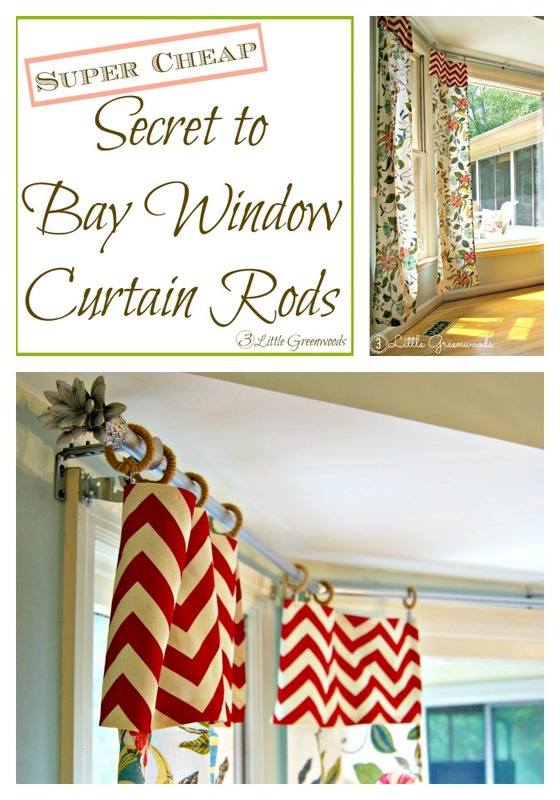 And not to mention, inexpensive to make! Isn’t this little stenciled decorative pillowcase super adorable? 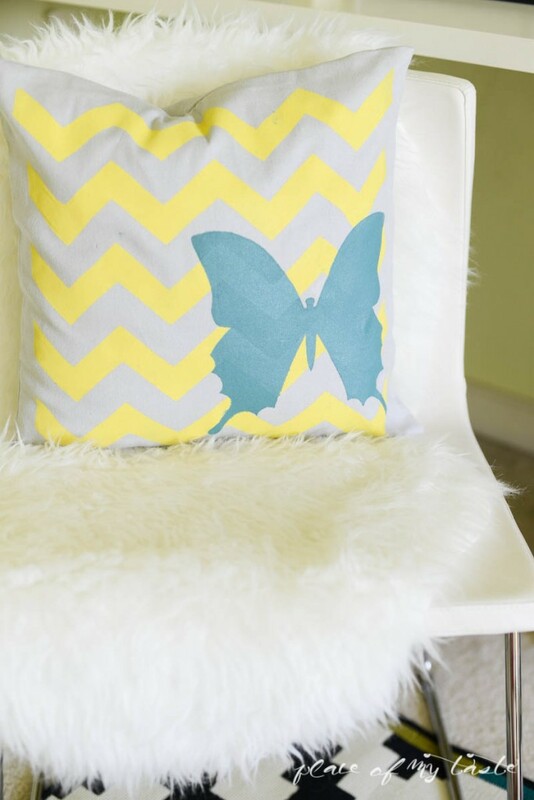 I love the butterfly that overlaps the chevron, and the colors match perfectly in Aniko’s pretty home office. I’m always looking for easy pillow updates, and she makes stenciling one look so easy! 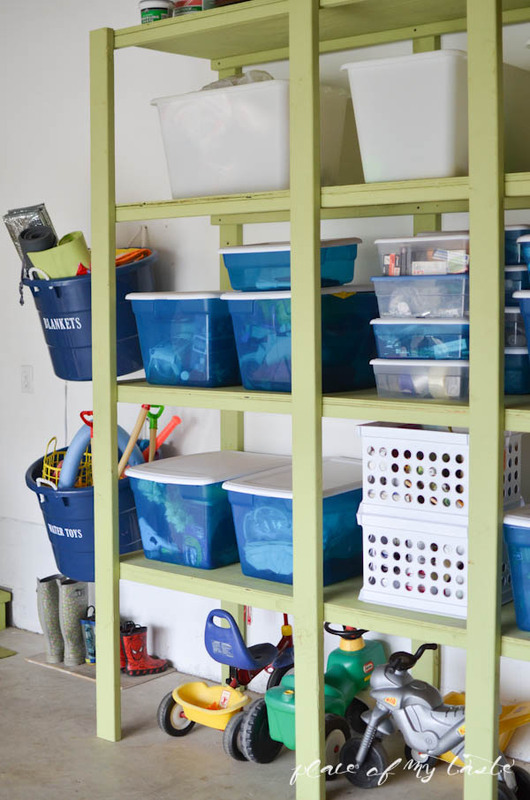 I’m a sucker for organization, and this happy and organized garage has me drooling! I’ll admit; ours is not far from the before photo (even though I love to organize!). Garage’s are just one of those easy places that gets messy quick. But, Aniko tackled this space and in using lots of pegboard and bins, their garage is now pretty and clean! 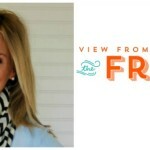 She has some great tips on helping you organize yours, too! I think has to be my absolutely favorite project that Aniko has shared. 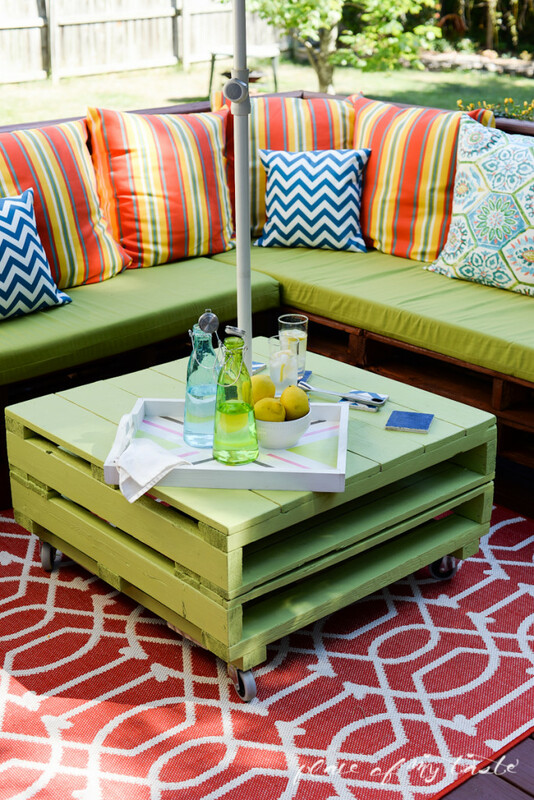 I mean seriously, how amazing is this DIY pallet furniture?! I’m not the only one, as her whole outdoor space was featured in the July issue of Better Homes and Garden!! You can read more about it all here. I’m so in love with their whole outdoor space, but the furniture really takes it home. She made it look so easy to put together, and I love all the bright colors she used to decorate with! 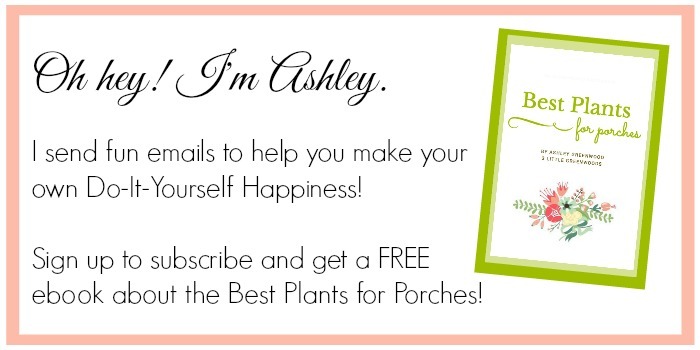 You’ve got to check out how she and her hubby made it all! 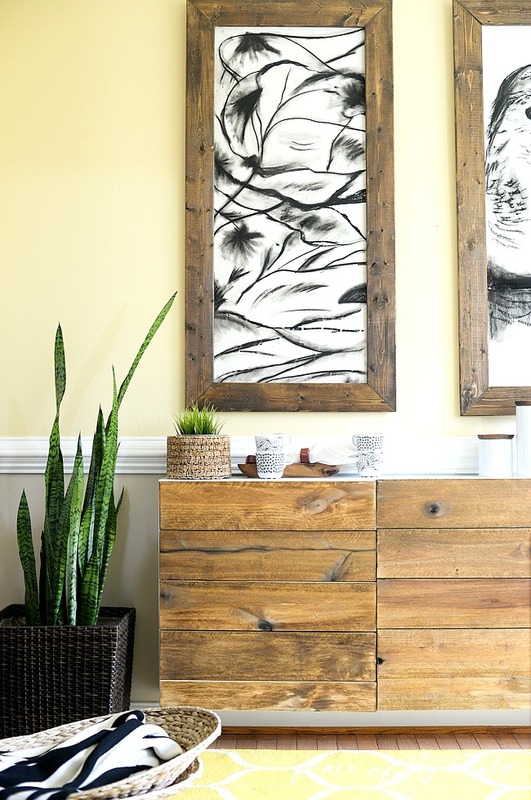 I always love seeing Ikea hacks, but this DIY reclaimed wood buffet is definitely one of the best. Isn’t that wood just gorgeous? It totally fits the wall and their dining room perfectly. I even like it better than the West Elm buffet that cost $1200! Yikes! For a fraction of the price, Aniko achieved the same look with this beautiful DIY buffet. A few months ago, Aniko took part in the One Room Challenge that Linda from Calling it Home hosts. She tackled their breakfast room, and just look how pretty and bright it turned out! You should see the before picture; such a transformation! 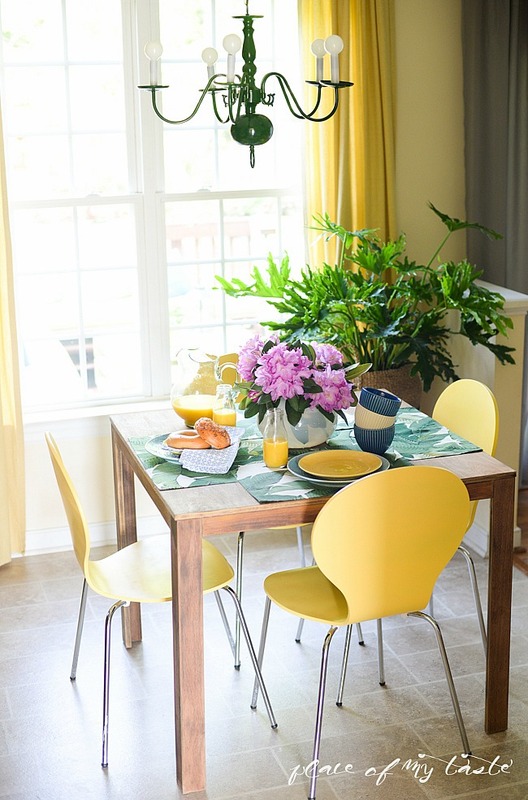 I love the sunny yellow chairs, and those adorable no-sew banana leaf placemats. Of course, most of this room were DIY projects, which makes it even more amazing! Lastly, Aniko doesn’t only create fabulous things, she also is quite the chef! 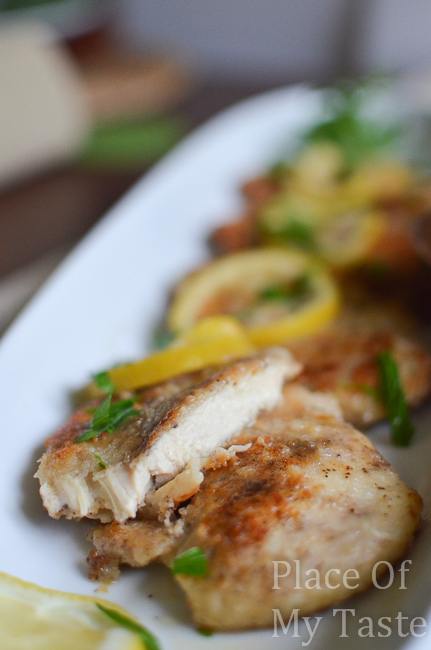 This lemon chicken looks simply amaaaazing. And, it’s super easy to make, too! You’ll definitely want to save this recipe and see all the other delicious recipes Aniko has to share! So, ready to follow along with Aniko and see what other fabulous things she creates? 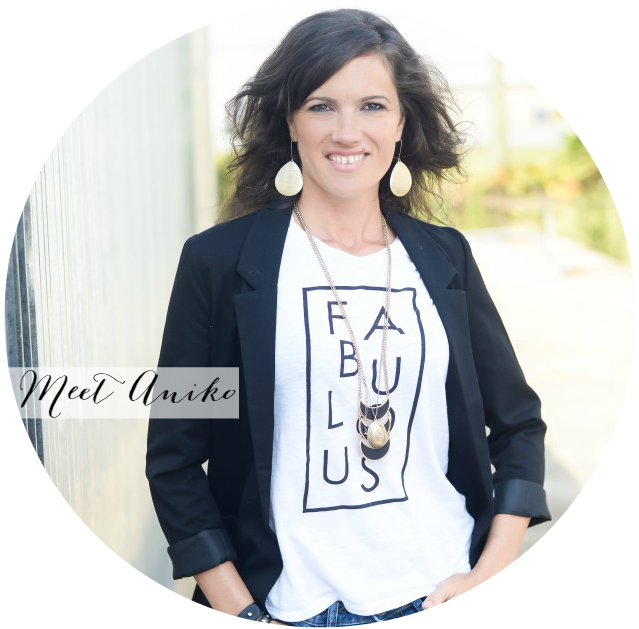 If you enjoyed this feature about Aniko at Place of my Taste, you may want to check out the other bloggers we’ve featured in the Summer Spotlight. You can also visit our Summer Spotlight Pinterest board to view all the great ideas we’ve shared in this series.